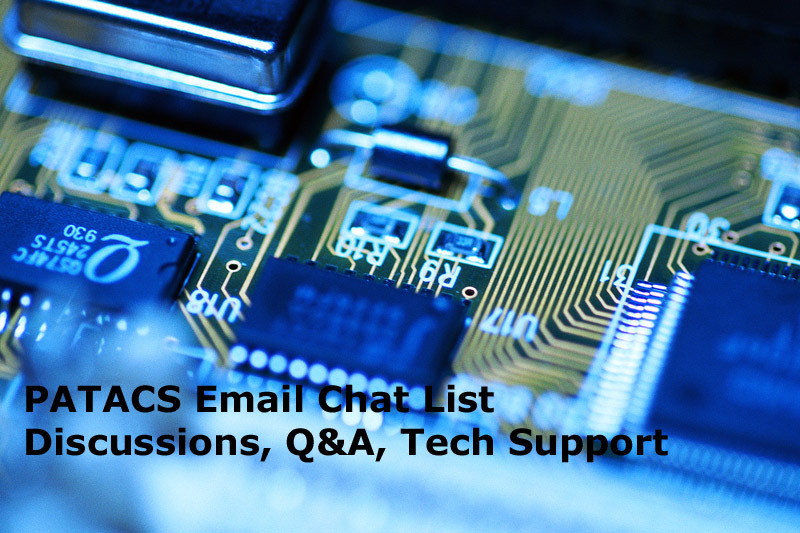 Many of the questions at our meetings and in queries addressed to the discussion list relate to PC maintenance issues. This PDF file contains information that will help you keep your computer in great shape! We've created an email list for PATACS members to discuss topics of mutual interest, ask and answer questions, share resources, convey news, and increase our sense of shared community. The list, on Web site groups.yahoo.com, is available to all members. The more subscribers the list has, the more valuable it will be to participants. So everyone is encouraged to subscribe and participate. Using the list is as simple as reading/answering/sending email. So you can use whatever tools for list email that you currently use. Only subscribers receive what's sent to the list and can answer or not, as they prefer. List material is not visible to non-subscribers and no advertising will be seen. The list itself is secure and invisible to non-members. Only subscribers can post to it and it will not receive spam email. Members WILL NOT be automatically subscribed to this list -- you must do this yourself. To answer a note, simply reply. NOTE that replies will go to the list, will be seen by all subscribers. To reply privately you MUST change the TO address in your note. Also NOTE that the list is not an official PATACS "publication"; it simply allows members to communicate with each other. It doesn't replace the newsletter or other official PATACS communications. The list's website provides additional functions such as message archiving and file storage. As subscribers increase and list usage grows, we'll provide additional information. and follow simple instructions to confirm your subscription. Once you've subscribed, for easy sending to the list, add the posting address to your email's address book with a simple nickname. - it will result in a donation to PATACS ! !